Few physicians have had a larger impact on our specialty than Bobby R.
Alford, MD, who recently passed after a legendary 56-year career. For me, he will always be “my Chairman,” and it is with honor that I attempt to capture what he meant to countless otolaryngologists. Herein, I do not intend to recite Dr. Alford’s curriculum vitae. Rather, I would like to focus on three themes that defined his life: excellence, leadership, and humility. 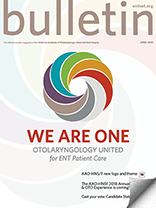 Dr. Alford’s legacy of leadership also extends beyond otolaryngology. Dr. Alford was a founder of the National Space Biomedical Research Institute, an achievement that earned him the NASA Distinguished Public Service Medal and has extended his influence to the most prominent minds in spaceflight medicine. 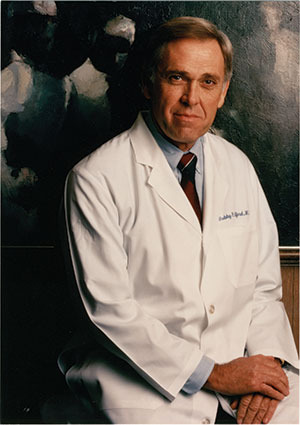 Lastly, Dr. Alford served as Executive Vice-President and Dean of Medicine at Baylor for nearly 20 years. Through this role, he oversaw the growth and expansion of nearly all Baylor’s residency programs. As a result, there are few physicians from any specialty who trained at Baylor in the past 25 years that Dr. Alford did not influence. Yet even in light of all these accomplishments, Dr. Alford’s most enduring quality remained his humility. Dr. Kuppersmith recalls informing Dr. Alford about the establishment of the endowment that now bears his name: “When I approached him about setting up the research grant, he didn’t want me to do it and told me he had not accomplished very much in his career.” Given that Dr. Alford accomplished as much as 10 people in his lifetime, this story still leaves me speechless. Dr. Alford was the consummate gentleman, and his humility remains an inspiration. In conclusion, Dr. Alford led a life devoted to the service of others and the advancement of medicine. He forever shaped the doctor that I am, and I still think of how I would present a patient to him. I will leave you with one last quote from Donald T. Donovan, MD, who succeeded Dr. Alford as chairman: “He inspired me to want to be a better physician than I ever thought possible. He was a role model of professionalism not only as a physician but as a living example of a life of service to enduring educational institutions and to society at large.” May he rest in peace.